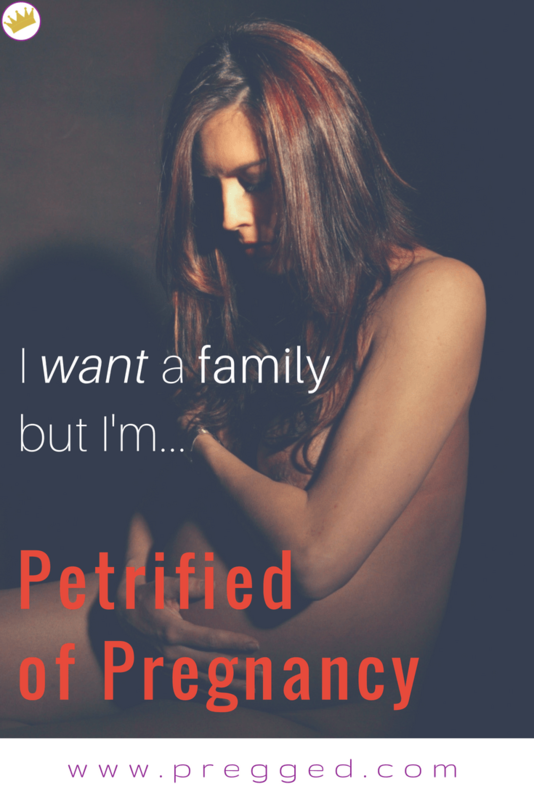 Fear of pregnancy and the fear of childbirth, isn’t crazy, weird or strange. In fact it’s very common. Some reports suggest that up to 25% women encounter it in one form or another during their pregnancy (1). Tokophobia is the name of fear of pregnancy and childbirth (tokos meaning childbirth in Greek) (2). Even though it’s incredibly common, there is very little awareness about this condition. For most women, pregnancy and childbirth are an exciting time that mark their life in a hugely positive way. For other women, pregnancy and labor can signify their worst fears coming to life. Fear of pregnancy is a compelling reason motivating some women to avoid getting pregnant – ever. But women who want children and are trying to conceive can get tokophobic too, even to the point where they consider terminating the pregnancy they were looking forward to. There is no doubt that pregnancy and labor are physically and psychologically very challenging for a woman. The physical changes a woman’s body goes through in pregnancy can trigger strong fears about not being in control of your body. It’s totally understandable that 99% of first-time moms are intimidated by all of the potential complications related to pregnancy and labor. Up until relatively recently, labor complications were the leading causes of death in women, so it’s really no wonder that most of us are a bit fearful of it. Hearing about terrible labor experiences from friends or female relatives never helps. And looking up information online about labor complications can easily scare the life out of you. Then we have One Born Every Minute or the thousands of birth videos available at the click of a mouse. Any of these are enough to terrify even the most confident first timer. Worrying about how labor will go, whether baby will be healthy or how you’ll find being in the new mom role are all typical pregnancy fears. Hormonal fluctuations in pregnancy, together with obvious bodily changes, can make it more likely for a mom-to-be to feel intense anxiety and be extra worried about her body and the baby. But these are all pretty normal pregnancy fears. 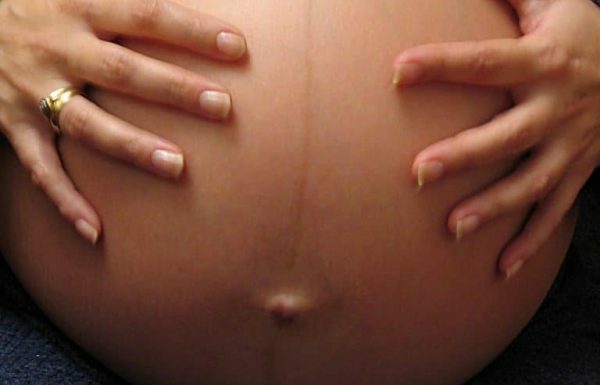 When does the fear of pregnancy become a phobia? The line between common pregnancy fears and worries, and a true phobia of pregnancy can be drawn in terms of how they influence your life choices and your pregnancy. In extreme cases of tokophobia, women will avoid getting pregnant at all costs. If an unplanned pregnancy does occur, she will likely terminate the pregnancy or if she decides she wants to keep the baby – opt for cesarean section even though there is no medical basis for her decision except her fear. It is essential to emphasize again, some women who experience strong tokophobia want children or are trying to conceive. Some of them are already mothers. Their fear relates only to the reality of pregnancy and labor, not motherhood itself. In other instances of tokophobia, women feel various levels of discomfort about anything pregnancy related. Some might get extremely anxious or experience a full-blown panic attack while near a pregnant woman. If they suspect they might be pregnant, their anxiety can lead to physical signs of anxiety and panic. Others simply do not feel comfortable with the idea of not being in control of their body during pregnancy. Fear of pregnancy is still a subject requiring more research. It also needs increased awareness among obgyn specialists, perinatal mental health professionals and moms-to-be. For now, at least, we have some idea of the ways in which different women can experience tokophobia. Women who have never been pregnant and in labor but are pathologically frightened of pregnancy and childbirth are experiencing what is called primary tokophobia. Some of them are more sensitive to anxiety or have a history of phobias, but this is not the case for the majority of women..
As we will see in a moment, some of them can develop tokophobia as early as adolescence. Women who’ve endured a difficult labor with their previous child or had prior complicated and unsuccessful pregnancies can experience a secondary fear of pregnancy and labor. Their earlier traumatic experience fuels the fear that any future pregnancy will be traumatic as well. In this case it is often linked to birth trauma and PTSD. Why are some women terrified of pregnancy and labor? With secondary tokophobia, the earlier traumatic experience is the clear origin of the fear. Typical pregnancy fears and anxiety can be multiplied by these prior adverse experiences, especially when a woman did not have adequate psychological support to recover from the stressful event. Some women who have the primary fear of pregnancy and labor do know where the fear originated. For some it’s from early and unexpected exposure to the reality of labor, either through video or by hearing other women’s stories. Seeing a video of a woman in labor in adolescence is what Dame Helen Mirren reports as the reason she has such strong feelings of disgust about anything pregnancy-related, as well as her decision not to have children of her own. The pain of contractions, bleeding, vaginal tearing, incontinence or the use of forceps and vacuum during labor are all real possibilities in labor. It’s not unusual to be fearful of any of these. But for women with primary tokophobia thinking about these things can make the fear overwhelming. What does it feel like to live with tokophobia? There are a lot of beliefs and assumptions in our society related to women and more specifically pregnancy. Many women hold these beliefs, too. A woman who feels strong fear and disgust with anything pregnancy and labor-related does not fit into this ideal. This is why tokophobia is often followed by feelings of guilt and shame. Since there is little to no awareness about the condition, most women with tokophobia don’t share their feelings for fear of being be judged. Even if they resist the urge to avoid or terminate their pregnancy, women with tokophobia will usually opt for cesarean section and live through nine months of pregnancy in extreme discomfort. This can deeply influence their relationship with the partner. Some consider adoption as the only real choice to become mothers. When there are thousands of women trying to conceive, sharing your intense desire to avoid pregnancy is often caught up in feelings of shame or self-blame. However, there are options available that can help you to manage your fears successfully. Discovering that you’re not alone and that there are other women experiencing similar fears can be an important first step toward managing the fear of pregnancy. Not only are there communities of women who are facing tokophobia available online, but some support groups may be available locally as well. Learning more about pregnancy and labor from a professional perspective rather than relying on fear-fueled internet searches that only amplify the tokophobia can be a crucial step toward minimizing the irrational portion of your phobia. Ultimately, psychotherapy and counseling can play a vital role in helping you manage your fear of pregnancy and birth. Receiving understanding in a judgment-free environment can help massively to get the fear out in the open and it can also help you to regain your freedom to choose whether you want to be a mother or not. Tokophobia (fear of childbirth): prevalence and risk factors. Demšar K1, Svetina M2, Verdenik I1, Tul N1, Blickstein I3, Globevnik Velikonja V1.